When you join The Berkeys Club, you can rest assured that you are covered when it comes to any plumbing problems you may experience throughout the year. We take care of our members’ homes as if they were our own, only sending drug-tested, background-checked, and professionally-trained technicians into your home. As a member, you are automatically at the top of our list should you need us. Our red carpet service puts you front and center, with a fast pass for our prompt, professional service. As a member of the Berkeys Plumbing Club, you will receive discounts on every repair or installation as needed. Receive special offers on plumbing products & services throughout the year. 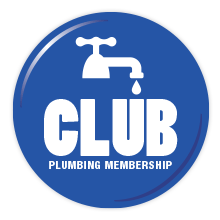 All members are entitled to an annual plumbing inspection. This includes a standard tank water heater flush and much more (see below for details). Peace of Mind for Pennies a Day! Your Club Membership has enormous benefits for very little…just about $1.90 per week for all this! We will double our standard warranty of one year to an industry leading two-years on most repairs. No one else comes close to giving you this kind of peace of mind! Our licensed Plumbers will conduct a multi-point inspection of your home’s plumbing system, looking for any potential problems, safety hazards or opportunities to improve plumbing quality. Tank Water Heater: All tank water heaters are checked for safety, leaks and signs of corrosion. Includes connections, shut off valve, vent piping, temperature and pressure valve (T&P), flush, anode rod, and more. If a suitable drain valve is present, your water heater will be drained and flushed and your tank water heater’s anode rod will be removed and checked (if possible). Tankless Water Heater: All tankless water heaters are checked for safety, leaks, and signs of corrosion. A tankless descale, which is recommended periodically based on the hardness of your water, can be conducted for a discounted rate, exclusively for Club Members. Kitchen: Includes check of garbage disposal, dishwasher, sink, faucets and drains and more. Bathroom: Includes sinks, faucets, shut offs, toilet functionality, tub/shower connections, drains, shower heads and more. Toilets: All toilets are checked and tested for leaks and smooth operation. Adjustments are done FREE of charge. Faucets: All faucets are tested and must pass a rigid “Performance Test.” If they don’t, they will be adjusted FREE of charge. Exposed Water Lines: All exposed water lines are checked for any damage. Piping: All piping under your bathroom and kitchen sinks are checked for any sign of potential water damage. Drains: All drains are checked above and below sinks for leaks & clogs. Washing Machine: Washing machine hoses and valves are thoroughly checked, when accessible. Assess any Problem Areas: If you have any concerns or questions about your plumbing, such as hot water issues, water pressure, water purification, leaks, or otherwise, your technician can help assess or recommend solutions.